Determination and discipline were qualities that supported my becoming the channel and healer I am today. I learned these from years as a dancer, choreographer and rehearsal director. Perfectionism was strong. Discipline came naturally to me, but I was racked with self-doubts. I can’t was a common self-sabotage statement. However, if someone said I wouldn’t be good at something, my determination kicked in, coupled with the strong desire to achieve. I am very stubborn when told I can’t do something. In many cases my stubbornness was a flaw but it also became the one thing that kept me going. I also learned along the way that I had the Soul of a Dancer. Now I dance with Spirit flowing through me. When I first began to meditate I was in crisis. Nightly panic attacks occurred and I experienced extreme anxiety – it was very difficult to move out of the monkey mind. At the beginning of this learning I had no idea I would become a channel for a feminine vibration from the Stars. I just wanted to achieve a reasonable level of peace and relaxation. I wanted to be able to face myself in the mirror; put on my makeup, without the nervous bubble of anxiety rising up my body. I transitioned from a performer to a choreographer – for fifteen years I learned the craft and shaped dancers towards performance. With each new work, even with my self-doubts, I learned to stretch the boundaries of my limited thinking and go beyond myself. Even then I understood that my ideas and creativity came from somewhere else. I was connected to something greater than me, and I was its vehicle. Choreographing is a slow creative process. Rule of thumb is; if we create one minute of the work per hour of rehearsal, we were doing well, molding sixteen bodies in space was even slower. I learned to to take the small steps to hold the vision of something beyond the current time frame. My creative day started at four o’clock in the morning. For each hour in the studio I spent four hours preparation. I connected to the music and opened myself to potential ideas, feelings, movements, and color and waited for them to drop in. I realize now, how opening up to receive was the essential ingredient in my creative process. It is only now that I see how strongly I created the pathway to the Universe and the Mother of all Creation. When I learned healing; the same principal applied, I needed to get my mind and ego out of the equation to allow the flow of higher energies to be unfiltered by my desire to achieve specific outcomes. This time I thought I was a failure, as I had no clairvoyant ability. This one belief kept me limited for some time and I constantly accepted that I wasn’t good enough because of it. I really believed that to be a healer I had to be able to tell people what I could see! At group meditations, others received wonderful images. All the time I stayed firmly grounded in my body and had the misconception that I didn’t journey when guided. What I could do; was imagine and feel strong body sensations of Spirit close by me. I was determined to feel Universal Love. This steadily built as I progressed. One day at a color meditation workshop we were guided to journey with the color gold. On our return were asked to draw what we saw. Oh boy, I thought here I go again! Well of course I saw nothing. So I doodled on the black paper with a gold crayon as I listened to others share their visions. I looked down and to my surprise; a beautiful golden city had emerged across my page. I was excited. I finally realized that even though I am firmly grounded in my body sensations, I had succeeded to journey. Finally I stopped questioning the validity of my experiences. I received knowing without seeing. I started to trust and believe in my abilities, body signals and sensations. It is extremely important to me that I receive truth; unfiltered by my desires. I carry this level of integrity and intention with me as I heal and assist others in all that I offer. So how did I train myself to get my mind out of the way? Well this was really difficult. It was essential to learn to trust. It took several tools to deconstruct a mind attached to detail. Doubts and worry undermine the connection to receive. Again I learned to get out of the way of my insecurities. The first tool was a process of inner child drawing with the non dominant hand. The intention was to draw without judgments, criticism or the need to know. Initially I was challenged. I hovered above the paper with my pencil poised until my hand moved to draw. If you knew how hard this was, you might give me a prize. Every day for two weeks I consistently told my mind NO, no judgments until I could draw with my eyes closed without needing an outcome. Soon after, I was ready to connect to my guides for information. I sat in front of a computer screen with a blindfold on (yes I’m a touch typist). I waited and waited to receive words that were not my thoughts – this was very interesting. Was I patient? Not very, but I got better at it with consistency. At the same time each day I sat to connect. Firstly I concentrated on drawing my vibration up and focused past my head to meet my guide. The earth vibration was very dense at that time and their vibration was higher than mine. When I did connect my body was unable to hold their vibration for long, so I gradually increased it in five minute increments. I was exhausted if I did too much. At the same time I was being prepared by Spirit in another way. I received a major upgrade and a new circuitry. My nervous system was rewired with gold light. Again I wanted to know the purpose of it all, but it was early days. Guided to create a medicine wheel ceremony with two friends, I sat on the ground for an hour and a half to channel and anchor gold light into the Earth. There was one more major step for me to take before I channeled the language of light and the Sirian Goddess. In 2003 I separated from my husband of twenty two years and stepped out from behind his shadow. Immediately I took off to the Bahamas to join a group templating the astrological Star of David alignment into the planet. It was here that I was told in a trance healing session, that a Sirian Goddess was waiting to speak with me and would do so during my dream state – fear caused me to immediately block my dreams for six months. Unbeknown to me, I was already embodying her vibration when I did healing. 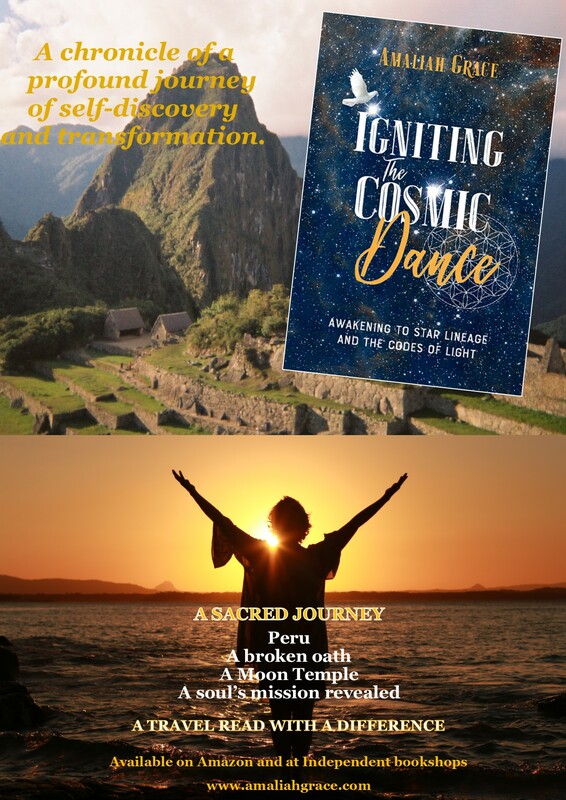 After the Bahamas, I went on to Peru and the following year returned for a shamanic journey where I fully connected to Pachamama and her sublime energy. I drank sacred medicine of ayahuasca and wachuma in ceremony. These further opened my pathway to the Universe. In an all night ceremony with wachuma in the Sacred Valley around a fire, I connected to the cosmos and channeled my ancient Shamanic Inca life. For the first time I sang an Ancient Healing chant. On returning home I moved to live near the Ocean which I love. Several months later in a guided meditation, I drank the nectar of Isis and Osiris. The Goddess spontaneously spoke through me in language, the language of the Soul. Weeks later I connected to the Magdalene flame when she returned to the planet and experienced a profound connection with her. 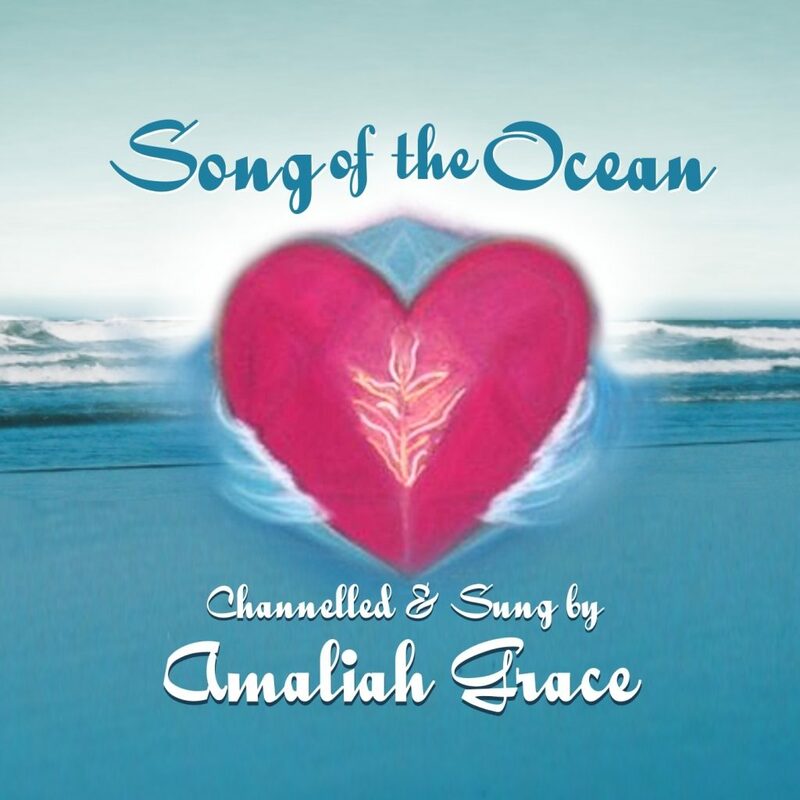 I understood my new mission was to sing and dance with the sacred feminine where ever I went to balance the planet with the Divine Mother Goddess vibration and assist her return. I am her vehicle in service to humanity. I am always curious where my subscribers are from. Please leave a comment below to say hi and let me know where you are from – and what you are most wanting to receive from my Goddess Sound Streams. Don’t be shy, leave a reply.